Book and pictures courtesy of Paulette & Stephen Modiano. Description by Paul Jackson. The book measures 8 5/8" x 6 1/4" and has 157 pages. The text body is set in Monotype 139 and the book was printed on Boxmoor paper in two colors. 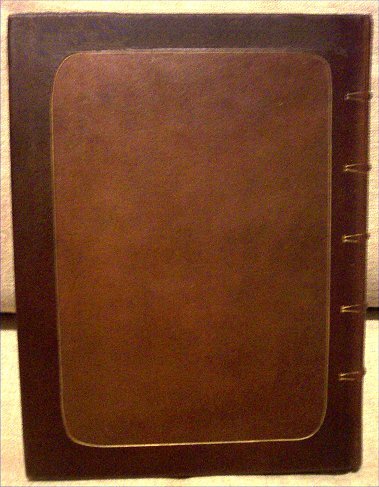 The binding above is modeled leather with the text set on Japan vellum. The book was also published in paper over boards, suede, 3/4 Levant, Alicia, and one copy is known to be bound full Levant. 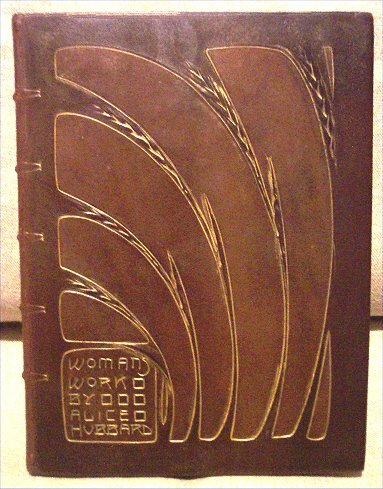 The cover, initials, running heads and tails, colophon and title page were designed by Dard Hunter. 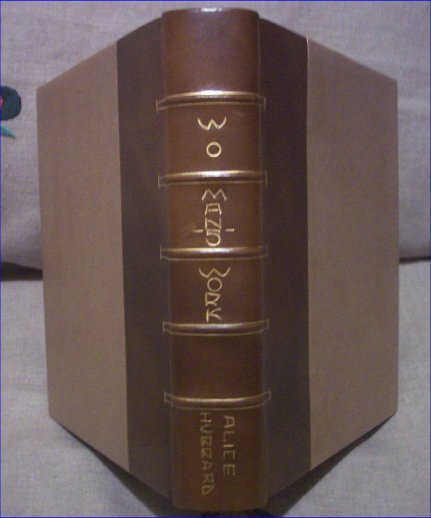 Quantities of the printing runs are not known, but there is also an unlimited edition with the same binding variants that was printed on Japan Vellum.